If you are thinking about getting divorced or your spouse has already filed for divorce, contact The Law Office of Brian Frey, PLLC to make sure your asset rights and child custody rights are protected. Divorce in Michigan can be a long drawn out process. It is no different in Lenawee County. 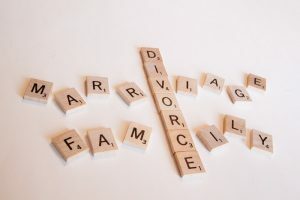 In fact the minimum amount of time that a divorce can take is sixty days if there are not minor children involved or six months if minor children are involved. Prepare yourself that this will not be a quick process. The first step in the process is to meet with The Law Office of Brian Frey, PLLC for your free consultation and we can help formulate a plan to make the divorce go as smooth as possible. The only reason needed for divorce in Michigan is that the marriage has broken done and is not repairable. Remember we represent you and our conversation is privileged, meaning it will stay between us. It is important you give us the full story and all of the facts so we can be prepared. The Law Office of Brian Frey, PLLC will prepare and file a Complaint For Divorce as the first step with the court. This document will notify your spouse that you are divorcing them and state in broad terms what you want out of the divorce. For example you will ask for the assets and liabilities to be split fairly. However, this is also where you would request how parenting time will be split. For example maybe you will request sole custody or maybe joint physical custody. What is best differs for every situation and every divorce. After filing the complaint we have ninety-one days to serve the documents to your spouse. Waiting will make the process take even longer so we try to serve your spouse as soon as possible. We can either serve your spouse by mail or by hiring a process server. Your spouse will have twenty-one days to respond if served in person or twenty-eight days if served by mail. At this stage temporary orders regarding child custody and maintenance of property are likely to be granted. Discovery is a tool to learn more information about the case. At this stage of proceedings we can send interrogatories to witnesses who will then provide written answers to our questions. We can also hold depositions where potential witnesses will give verbal answers to questions. We can also make requests for documents that may be important such as medical records. Often in divorce cases where both sides are agreeable discovery will be informal and both sides will just turn over the requested information without a fight. After all the motions and discovery comes the trial. Months have passed when we finally reach this point. In most cases we can negotiate an agreement with your spouse before trial begins. It is usually better to reach an agreement on your own terms rather than let a judge decide for you. If a trial is needed both sides will present their information and call their witnesses and the judge will decide how to split assets and liabilities and what to do about child custody. A divorce order will be entered by the judge and the marriage will be officially over. As you can see divorce is a long and complicated process. It is important to hire an attorney to help you navigate all the rules and requirements in divorce. One missed deadline could have severe negative consequences for you when the judge issues the order ending your marriage. Please call us today to set up your free consultation where we will discuss your needs regarding divorce in Lenawee County.